The Hawker Hurricane has rightly earned its place in military aviation annals. Although only preceding the Spitfire by four months in its prototypic launch, the Hawker machine was available in measurably greater numbers by the Battle of Britain, a very critical stage of WWII for Britain and its Empire. Its rugged qualities saw use in the Mediterranean and Far East Theaters, and on the Russia Front. It adapted equally well to naval operations as a CAM-ship “protector” for Allied convoys and then as the first truly modern British fighter design to operate off the Fleet Air Arm’s aircraft carriers. The solid wing structure lent itself naturally to the carriage of bombs and heavier-scale weaponry such as the 40 mm cannon that dealt out a fair measure of punishment. The few airworthy examples are a poignant reminder of Britain’s WWII aviation prowess. Part of the Legends of Warfare series. Ron Mackay’s interest in aviation commenced during World War II. The local Coastal Command airfield at Wick, Scotland provided a wealth of RAF and USAAF designs to stimulate his enthusiasm; post-War National Service sustained the interest. In addition, a working knowledge of German subsequently extended his field of study to the Luftwaffe with specific reference to nocturnal operations—a relevant choice since his uncle flew and survived operations with Lancasters of No. 49 Sqdn, RAF Bomber Command. The latter activity lead to regular visits to Luftwaffe Reunions, with much valuable personal anecdotes and technical information garnered. 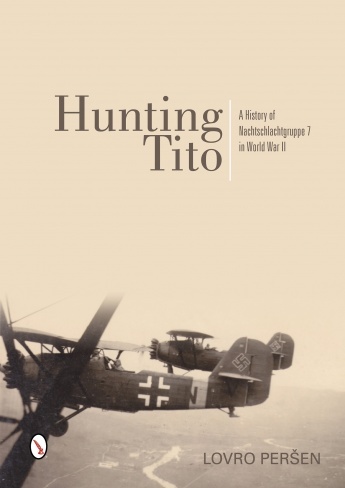 To date, nearly thirty books, several of them co-authored, have been brought out while on current hand are contracts for a further number of RAF and Luftwaffe titles.